With just three weeks to go until M&I Forum Europe Autumn comes to Prague, we’re looking ahead to one of the year’s most important MICE events. Beginning on Monday 26th September, the Forum will welcome 340 fully hosted MICE buyers to the Czech capital to meet with hotels, groups, DMCs and CVBs from across the world. 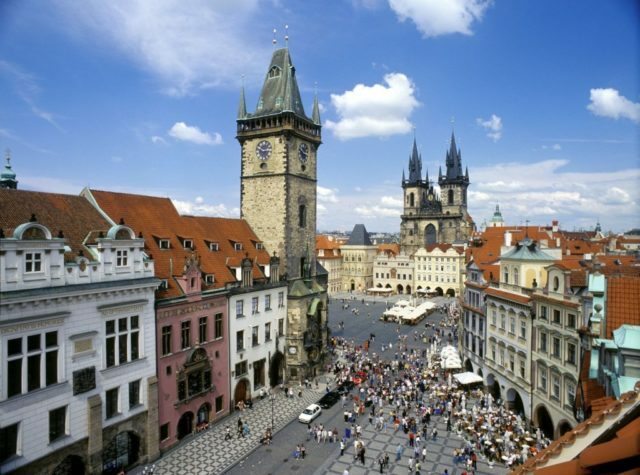 Through a detailed programme of prescheduled 1-2-1 meetings, relationship building activities and exquisite dinners, delegates will build vital new connections and experience the best that Prague has to offer. Delegates will be hosted at The Hilton Prague, which has been named the Best Hotel in the Czech Republic for six consecutive years. Influential buyers will experience the hotel’s meeting and event facilities first-hand, while also enjoying evenings at Lobkowicz Palace,Žofín Palace, and Forum Karlín. This is opportunity for Prague to demonstrate some of its most prestigious MICE facilities to the industry’s most important buyers. Previous host destinations have profited more than €60 million in additional revenue as a result of hosting an M&I Forum, and Prague CVB have worked with a number of local suppliers to reap future rewards for the entire city.